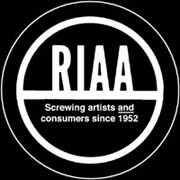 Ironically, the decision by the RIAA to stop their mass lawsuits is followed by a proposal to target an even larger group of Internet users. The music industry lobbyists state that they are in the process of cutting deals with ISPs to target Internet subscribers that repeatedly infringe on the copyright of the major record labels – the so called three-strikes approach. This means that millions of people will receive warning emails from their Internet service provider, based on ‘evidence‘ gathered by a third party with a vested interest in the outcome. This will also mean, however, that thousands of individuals will receive emails in error, as the evidence gathering techniques are not as solid as the anti-piracy outfits say. There have been a lot of false accusations already, and this was recently confirmed in mainstream media by the BBC show Watchdog. The move from individual lawsuits to controlling piracy at the ISP level seems to be the new trend this year. Many countries have looked into the possibility of disconnecting file-sharers from the Internet, often gently pushed by anti-piracy lobbyists. France was the first to present their ‘three-strikes’ law earlier this year, which would allow anti-piracy outfits to police the Internet. The IFPI now plans to implement this worldwide, with or without legislation. It wont stop there though, if the RIAA gets its way ISPs will also have to pro-actively check for copyrighted content on their network. In their list of suggestions for the controversial ACTA proposal, the RIAA wants ISPs to spy on the files that are transferred by their customers, and check them against a reference database of ‘copyrighted files’. So, while dropping the mass-lawsuits might be considered to be a step forward by some, the change in tactics might very well result in a virtual police state where consumers (and ISPs) are guilty until proven innocent. The RIAA has lost some major battles in court, but if they gain control over ISPs, the future might be even darker than the past. 1 Comment on "RIAA Stops Lawsuits, But Not the Threats"
Trying to use ISP’s as copyright enforcement goons will go over as well as suing seven year olds and their grandmothers. Maybe if they tried to sue the Adware and Spyware companies out of existence for supporting peer to peer client software then they would have gotten somewhere but then suing Adware and Spyware companies would have made the RIAA look good and they probably wouldn’t have wanted that.